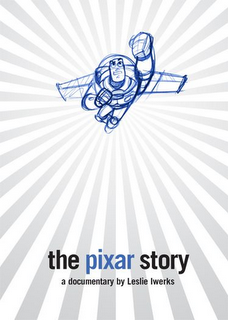 Tomorrow (April 22nd) you can catch this in-depth documentary about the origins of Pixar on the Starz network at 10pm EST/PST . Set you TiVo's! The Starz web site also has some bonus footage that's not in the documentary, involving the infamous "Love Lounge" and Pixar University. Darn! I live in Canada and I won't be able to see it. The director said that it will be coming to DVD most likely though. Guess I'll be hitting up TPB this week though. Thanks film industry! I want to see this so badly!!! Watched it last night (in HD no less) and it was amazing. I thought it would be great but I realized a few times during the show how my face was all excited looking like a kid watching a great movie. I missed it sad to say, but I plan on buying it. Does anyone know whether or not it's out yet? If so, do you also know where I can nab it? Goodness, I asked so many people if they had the Starz channel...and none of them did. I just can't wait to see this! Here's to hoping it comes out on DVD soon! It has to be one of THE best documentaries out there, not just cus I love Pixar, but because it was truly captivating. Too bad it couldn’t be seen by the masses, especially fans, this could really inspire a new generation of Pixar animators, just like the MI, FN and TI DVD’s did (and still do), to me and so many others. Ack, I don't have Starz so I missed it. Darnit! !